Per reports from RealGM and SB Nation, recent Harvard graduate Wesley Saunders will play in the NBA Summer League next month as a member of the Utah Jazz. The news is not surprising, as Saunders participated in a pre-draft workout for the Jazz on June 15, according to Jody Genessy of the Deseret News. Utah will play six games this summer plus a tournament at the end of the slate. Of the 13 players who played for the Summer League Jazz in 2014, only four actually played for the Jazz in the 2014-15 regular season, and only one of those four players were undrafted (Ian Clark). Of the nine players who played for the Summer League Jazz but didn’t play for the franchise in the regular season, only two have seen action in an NBA game so far. Still, if anyone can buck the odds, it’s Saunders. He was, of course, Ivy Player of the Year in 2013-14 and proved his mettle in several NCAA Tournaments, even getting North Carolina guard and No. 58 draft pick J.P. Tokoto to call him one of the top five players he’d faced all season. 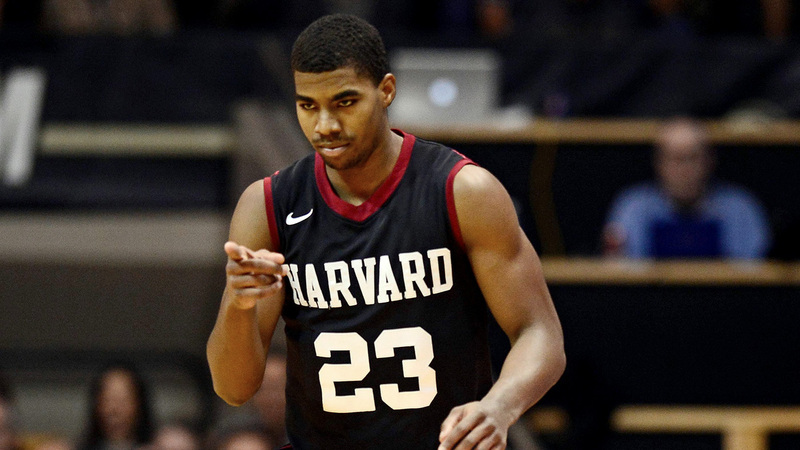 Saunders averaged 12.6 points, 4.1 rebounds, 3.2 assists and 1.5 steals per game during his Harvard career. Ironically, the last Crimson player taken in the draft was Keith Webster, by none other than the Jazz, in 1987. Jazz drafted one of Crimson Crawford’s cousins: Walter Palmer, Dartmouth, 1990.